The movie starts with Tony Stark saying ‘A famous man once said “We create our own demons.”‘ The closest quote I could find on the web is Oscar Wilde’s quote “We are each our own devil, and we make this world our hell.” Whether the first one is made up, both are very true. But there’s a glitch in the recoding that can sometimes can the organism to detonate during a repair. Meanwhile Aldrich is left on the roof alone, waiting for Tony, who is a no show. And in desperation makes some very bad decisions of his own. 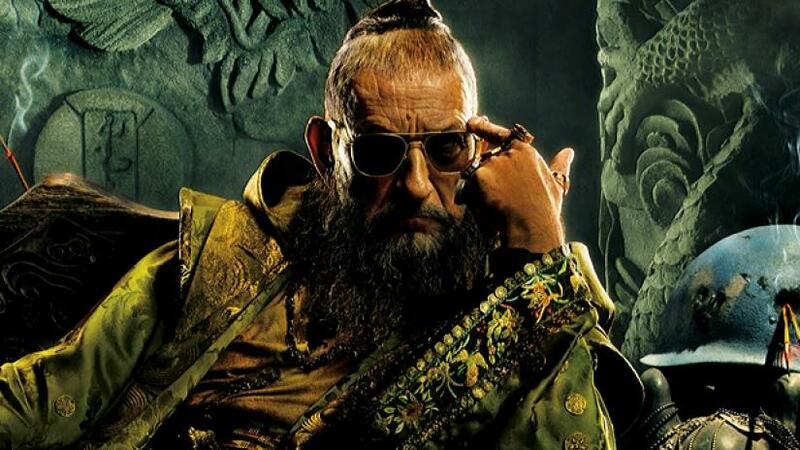 Ben Kingsley plays a Bin Laden style terrorist named Mandarin and “Ellis” is the current US President. There is the mention about “Alien attack.” The kid later in the movie asks if the aliens are coming back. EXTREMIS is a live feed into the brain. Aldrich mentions that our mind, and our DNA, is destined to be upgraded. He also talks about tapping into the DNA for manipulation. Penny Potts responds that it sounds highly weaponizable, like “enhanced soldiers, private armies, etc”. The Mandarin, which means “advisor to the King”. Tony is heavily connected to his AI, Jarvis. Mandarin executes an accountant working for a fictional oil company. Maya mentions Wernher Von Braun and his desire to travel into space. Mandarin turns out to be a fraud. He’s an actor hired by the Killian to pretend to be Mandarin and take credit for the accidental explosions. The Vice-President turns out to be working with Killian as well. The Real Manadarin (Killian) talks about the fact that the Roxxan Oil company dumped millions of crude oil in the sea and the President made sure no “fat cats” were prosecuted. No more false faces. But there is always feminine power at the end. And operation clean slate had Tony destroying the excess iron man suits (our distractions) for love.